Li Zhi's iconoclastic interpretations of history, religion, literature, and social relations have fascinated Chinese intellectuals for centuries. His approach synthesized Confucian, Buddhist, and Daoist ethics and incorporated the Neo-Confucian idealism of such thinkers as Wang Yangming (1472-1529). 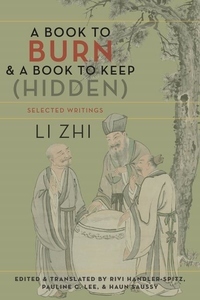 The result was a series of heretical writings that caught fire among Li Zhi's contemporaries, despite an imperial ban on their publication, and intrigued Chinese audiences long after his death.